Sunnyvale is a delightful converted period cottage which has been cleverly designed to combine a wealth of original features with a contemporary twist. This gorgeous cottage has been beautifully presented by its owners ready for holiday letting, carefully equipped with everything needed for a relaxing and comfortable stay. There's a sociable open plan lay-out downstairs with original beamed ceilings and reclaimed floorboards, including a lovely sitting area with a wood-burning stove and a contemporary kitchen. The striking exposed staircase leads upstairs to the three lovely bedrooms and the contemporary family bathroom. 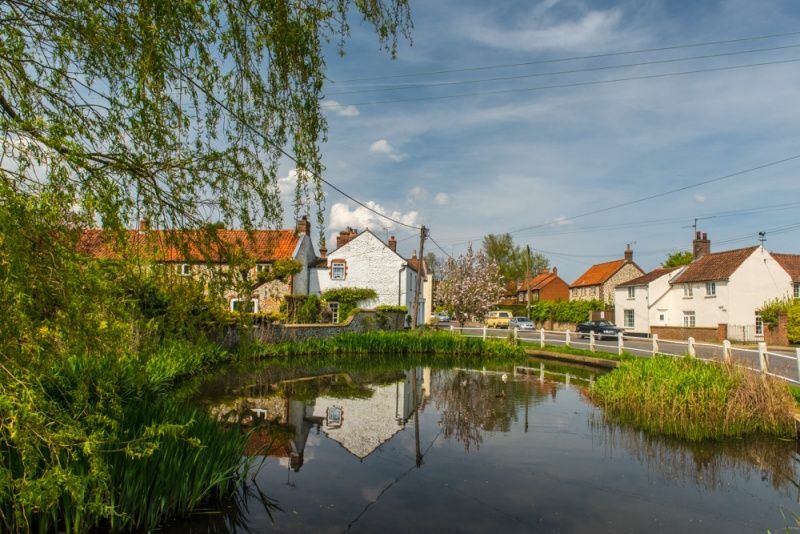 Outside is the advantage of a private fully enclosed garden and off-street parking for two cars.The cottage is conveniently located in the heart of Docking village within walking distance of a pub, village shop, fish & chip shop, playground and fishing lake. It is within 10 minutes drive of the beautiful coast at Brancaster or Thornham and also the popular Georgian village of Burnham Market. Stunning open-plan lay-out with an attractive original beamed ceiling and reclaimed wooden floorboards, with a feature central staircase. Kitchen: contemporary kitchen with a door opening out to the back garden. Really well-equipped with an electric oven with ceramic hob, integral dishwasher, integral fridge, integral freezer, integral washing machine and a microwave. Sitting/Dining Area: warm and comfortable with a wood-burning stove, comfy sofa and armchairs, HD TV, Denon sound system and a DVD player. Free wifi is provided throughout the cottage. There is a large dining table with bench seating down each side, comfortably seating six guests. There's a central contemporary staircase leading upstairs and guests should be aware that whilst it is enclosed on either side, it has an open tread and may not be suitable for very young children. Bedroom 1: lovely room with a wrought iron double bed, bedside tables and lamps, digital clock radio, built-in cupboards with original wooden doors, dressing table shelf, hairdryer and large mirror. 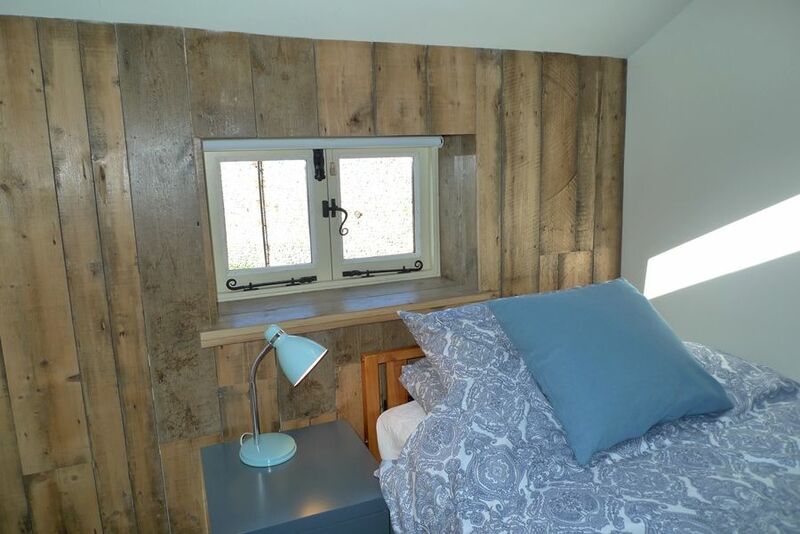 Bedroom 2: another good-sized room with twin beds and feature wooden panelling, bedside table and lamps, built-in cupboard. Bedroom 3: light and airy single room with a bedside table and lamp, built-in cupboard. Bathroom: contemporary bathroom with a walk-in shower, bath, hand basin, heated towel rail and WC. There is a shingled driveway to the side of Sunnyvale where there is off-street parking space for two cars, with two pedestrian gates giving access to the fully enclosed back garden. 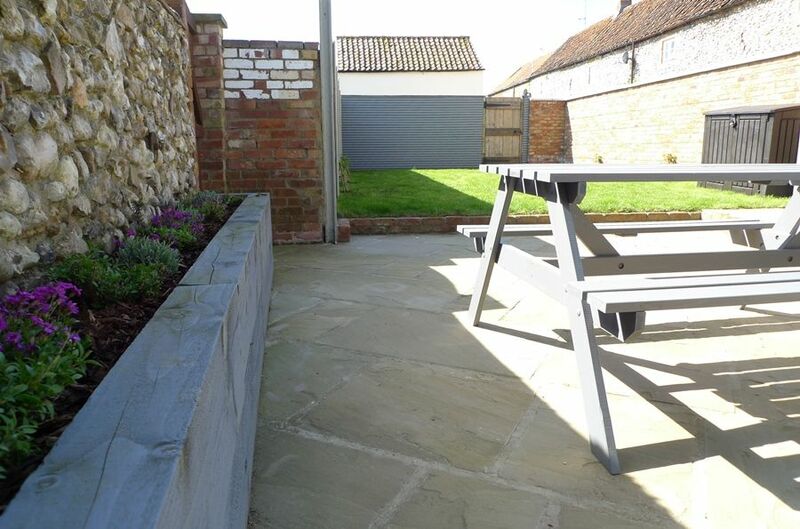 The private garden has been landscaped with contemporary walling and has a patio area with outside furniture and a lawned area, making it safe and secure for children. It is only a short walk to a well-stocked village shop, fish and chip shop, pub and a children's playground. The beautiful Norfolk coast at Brancaster and Thornham may easily be reached within a 10 minute drive.